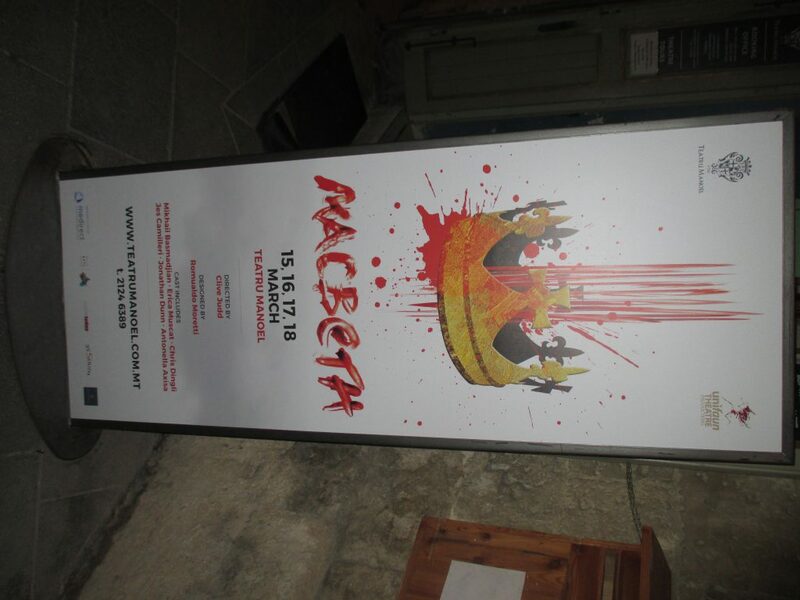 Last Friday, the Ides of March, was the opening night of a Shakespearean play in the Teatru Manoel. 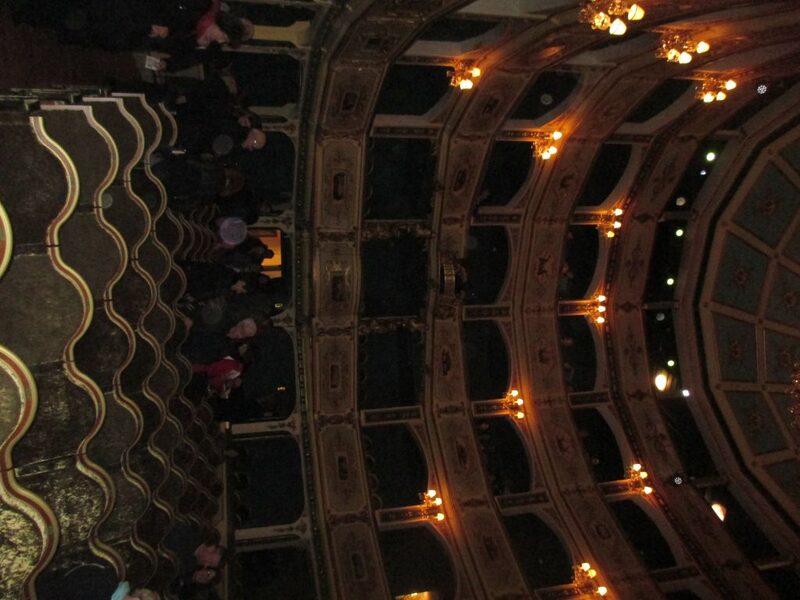 This Maltese venue is the third oldest theatre in continuous use in Europe, having been contructed in 1732. It is to Valletta what the Abbey is to Dublin, but there the similarity ends with the monominded monoglot venue on Liffeyside. 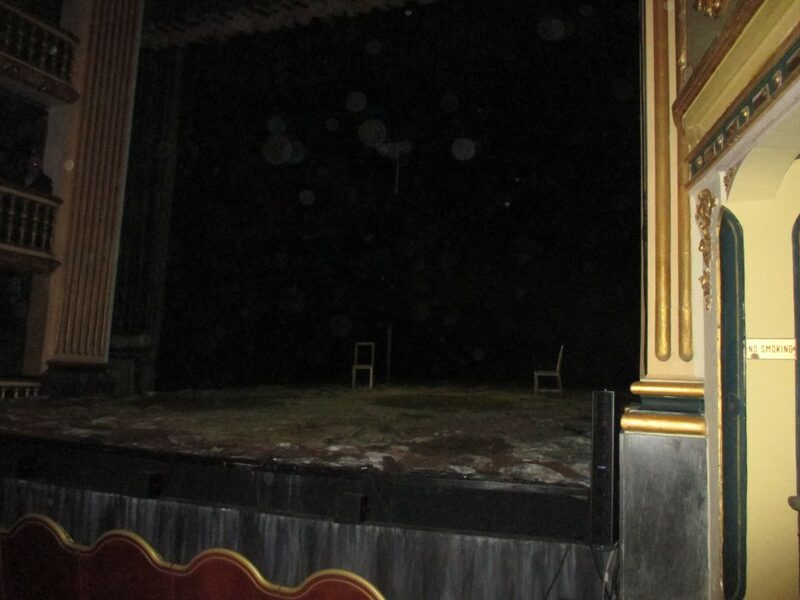 Teatru Manoel stages sophisticated plays in at least two of the working languages of Malta – in Malti and also in English. It is unheard of for loodermawns to write such loose stool stuff as ‘One would want to be a right lúbán not to the enjoy the English we speak in Malta’. Despite the date, the play was not ‘Julius Caesar’ but ‘Macbeth’. Like the staging last year of a drama by a contemporary of Shakespeare – ‘The Jew of Malta’ by Christopher Marlowe, (which incidentally prompted the Immortal Bard to pen Shylock in ‘The Merchant of Venice’) – this also was a superb production. Atlthough one was first exposed to the weird wordage of the 3 Banshees in the Intermediate Certificate (year, private) and seen many productions of this masterpiece of Caledonian carnage in the interim, yet some quotes struck a new cord on account of the venue. Home of The Maltese Falcon, amongst other black birds. Dashiel Hammett it was who authored ‘The Maltese Falcon’ which is to the fillum noir what ‘Macbeth’ is to an dráma dubh. John Huston’s choice of Sidney Greenstreet, Peter Lorre and Eliza Cook, Jr as the three villains remains one of the masterstrokes of casting in cinematic history. Indeed, in these peculiar days of genderfluid casting one can pass some idle moments in pleasant imaginings of the three seachránai above playing the potboiling part of the Three Witches in The Scottish Play. One can safely proclaim that one would walk 500 miles and one would walk 500 more just be the man who walks a 1,000 miles to fall down at their door. Och, aye. 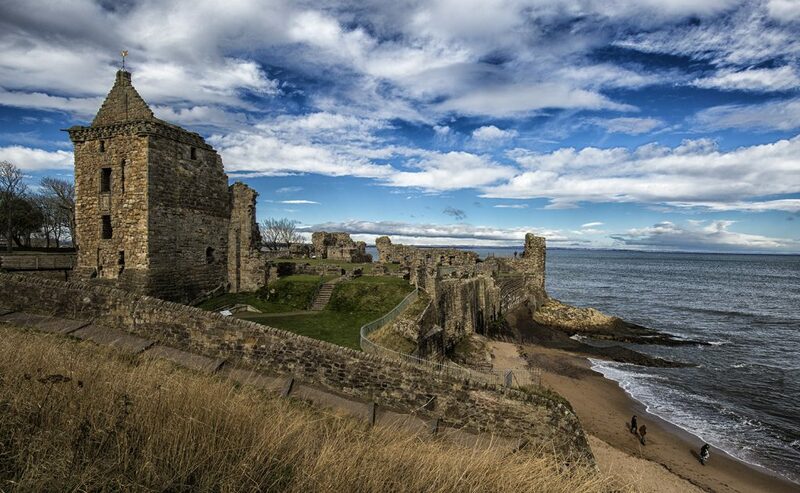 St Andrews is not too far from here. As the house had been commandeered for first aid-training (RDA) last Sunday, I spent a few hours on the front at St Andrews. 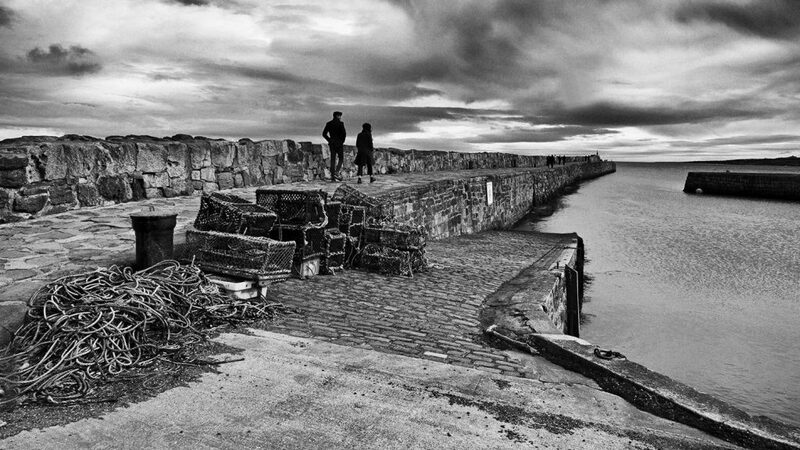 There is a picture that I am interested in but have so far failed to get – the students walk to the Old Harbour after the Church Service on Sundays. The red gowns should make an attractive contrast with the cold, blue sea.However I must have been too late on this occasion. 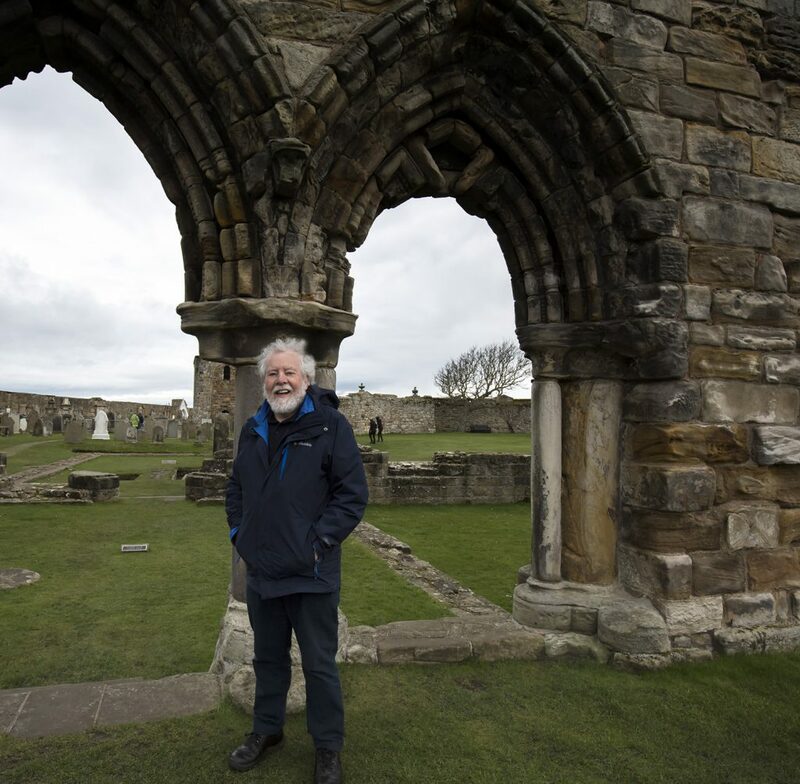 The Cathedral dates from the 12th century and was the medieval centre of the Catholic Church in Scotland. In the 16th century, following the Reformation, it was ransacked by a Calvinist mob , incited by John Knox, and fell into decline. 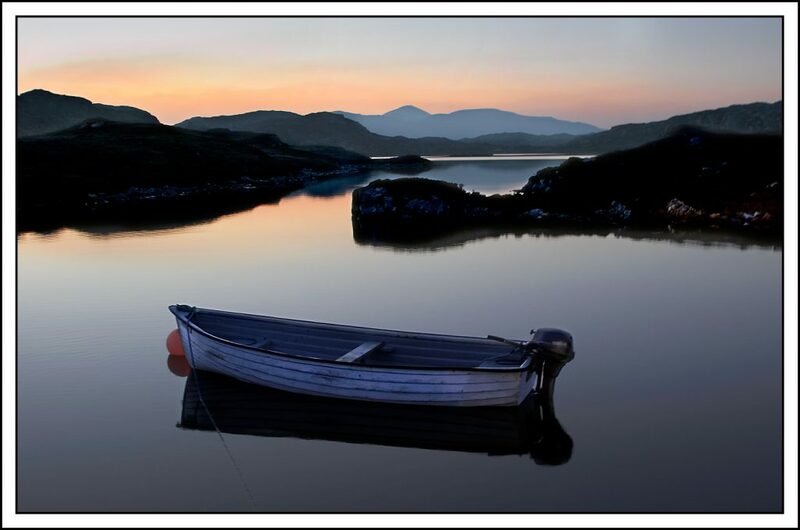 The Old Harbour is still a working place for the occasional fishing boat.The north-west of Scotland is a photographer’s paradise. 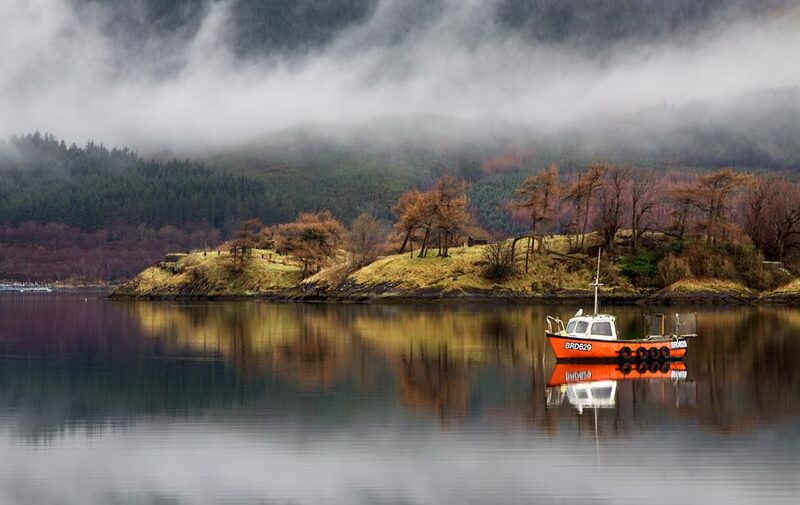 The moored boat is in a little inlet on the Hebridean Island of Harris and the misty hills are at Ballachulish by Glencoe.In 2010, Seamus Heaney was giving a couple of readings at the Stanza Poetry Festival which is held there every March. I had arranged to take some pictures but the events sold out within an hour of the tickets becoming available. He phoned and invited me to have breakfast . 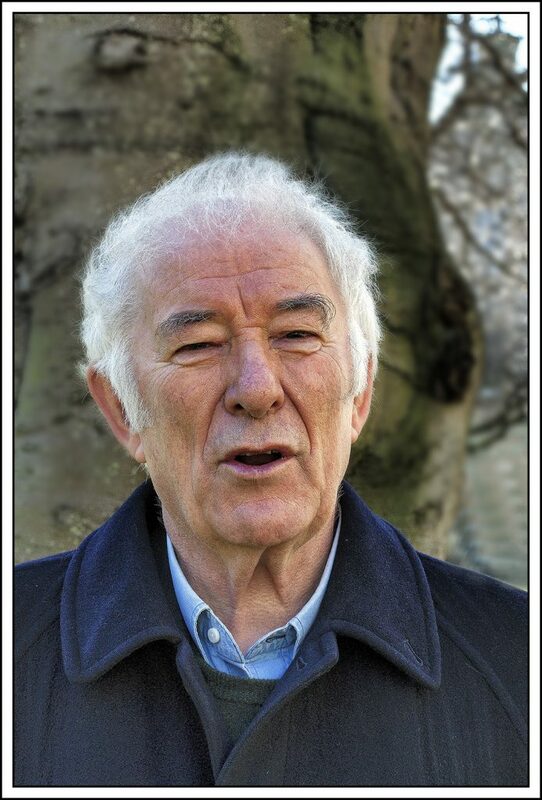 The portrait was taken in the grounds of St Salvatore College at the University. I thought the tree and the distant college building formed an appropriate backdrop for a pic of Seamus. He was clearly in failing health but we had a couple of hours of craic before he had to go off to do the first of ‘these auld things’ as he called them.